Interesting piece I found recently, about the SAR teams of Gila and Maricopa Counties, and the Sedona area, purchasing drones to help them search for people. Nice how the Drones can be used for a VERY positive benefit!!! All we hear about is how drones effect our lives negatively. Beyond cool how this will benefit POSITIVELY!! Nice!! Where is the "dislike" button? The world will advance whether you decide to participate or not. 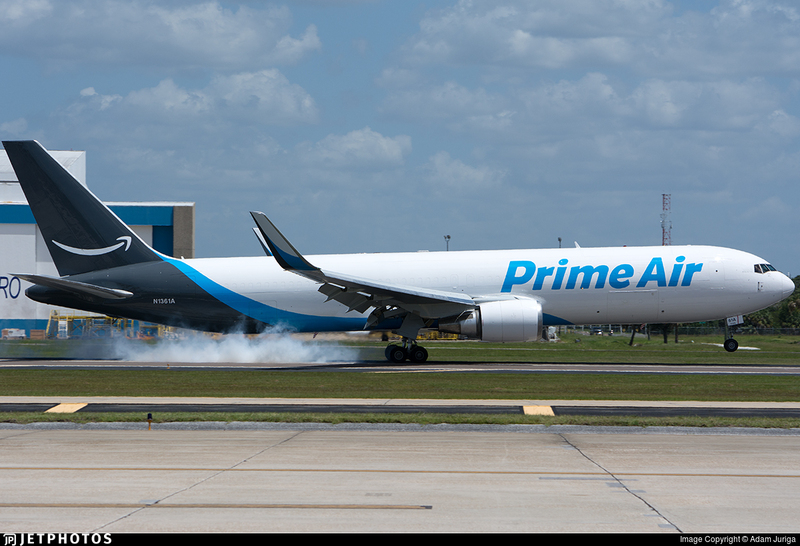 FWIW, Amazon is already building an airline and has 32 planes in their fleet already. I see this livery on approach to PHX nearly every day. Drones were used last year in Grand Canyon searching for the two missing hikers that got washed away crossing Tapeats Creek. I know one body was recovered but never heard if the second was or not. All in all a very sad and tragic event, especially since there was no real reason to cross the creek. I don't think Lou-Ann Merrell's was ever recovered. But, I think we can still choose to NOT participate in the use of services or other "advances" we either don't like, or find questionable. With the success of those self driving cars in Tempe, I'm sure we won't see swarms of delivery drones anytime soon, so we neo-luddite can rest easy.